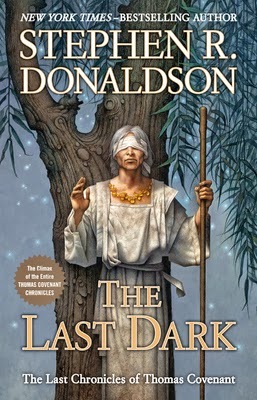 Pat's Fantasy Hotlist: Stephen R. Donaldson contest winners! These lucky winners will receive a complimentary copy of Stephen R. Donaldson's fourth and final volume in the Last Chronicles of Thomas Covenant, The Last Dark, courtesy of the folks at Putnam! For more info about this title: Canada, USA, Europe.